Mentioning the impending monsoon as one of the biggest challenges at Rohingya camps, foreign secretary Md Shahidul Haque yesterday said the government has elaborate plan to face the challenges, reports UNB. The Foreign Affairs Secretary said this while speaking as the chief guest in an international conference titled ‘Rohingya Refugee Crisis: Towards Sustainable Solutions’ organized by Centre for Genocide Studies, Dhaka University, Brac University and Action Aid at DU. “With the arrival of monsoon, natural disasters like flood, landslide and cyclone will occur while if the camps can hold on during such disasters is a challenge,” he said. 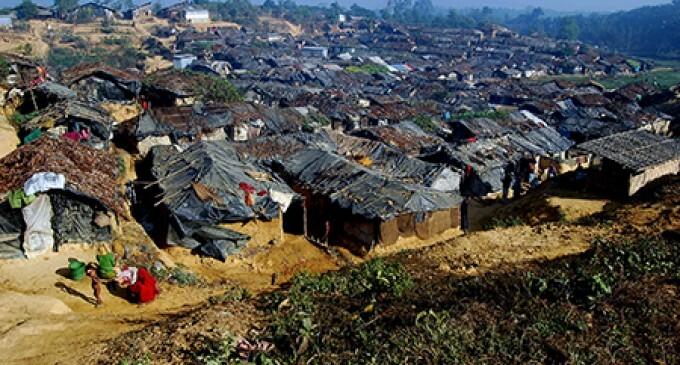 However the government has elaborate plan and new land has been allotted for rehabilitating Rohingyas while approach road in mega camp has been built with the help of army, Shahidul said claiming that international assistance for Rohingiyas is on decline which is another challenge for Bangladesh. “The crisis didn’t originate from any conflict between Bangladesh and Myanmar. This is something between Myanmar and its own people,” he said adding that the bilateral window is still open to solve the crisis. During the first session of the first day of this two-day international conference, Professor Imtiaz Ahmed, Department of International Relations of DU and director of Centere for Genocide Studies, DU presented his key note address ‘The Unfolding of the Crisis: Five Challenges’. During his speech he stressed the need for enacting new law in Myanmar to create confidence amongst the Rohingyas to return back to their own country. Professor Imtiaz also claimed Myanmar state has become a master in manufacturing ‘narratives’ as Aun San Suu Kyi claimed the crisis as a fragile democracy which needs to be supported. Mr Manzoor Hasan, executive director of the Centre for Peace and Justice, Brac University, Sudipto Mukerjee, Country Director of UNDP Bangladesh also spoke on the occasion while Ms Farah Kabir, country Director of Action Aid Bangladesh addressed the programme as inauguration chair.